Lilly Collins is taking over Hollywood at the moment on the red carpet and on the silver screen. Her new film "The Mortal Instruments: City of Bones" is soon to hit the screens and with a famous father and a love for fashion, you cannot help to love her. Her latest editorial for ELLE Canada is a fun, young and emphasizes her natural beauty. I think Lilly is definitely a fashionista to watch and we look forward to many red carpet looks by this young lady! 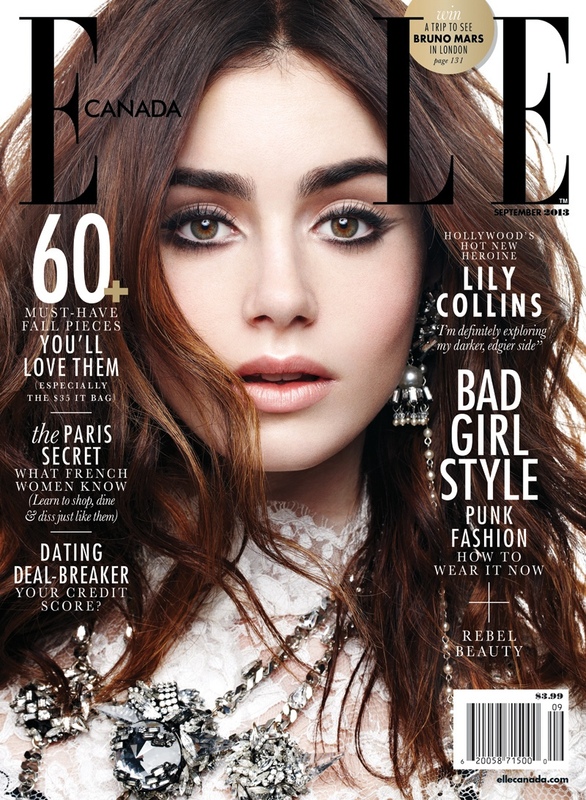 No comments yet on Lilly Collins for Elle Canada .